We serve our guests food made out of pure and fresh ingredients. No additives is our philosophy and we don’t favor artificial coloring ingredients nor other artificial flavors. We prefer seasonal ecologically catched fish and seafood. We have great options for the friends of fish and seafood as well as vegetarian or meat dishes. We are happy to cater for all diets and we hope to be informed about special diets at the time of reservation. In October our new experienced chef Markus Kornmayer has showcased his first menu. 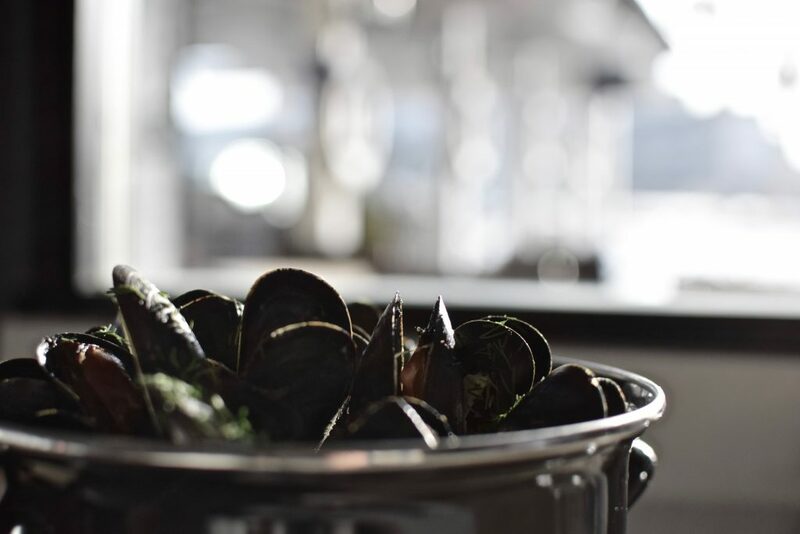 Starters feature beautiful flavors from the sea from smoked rainbow trout and shrimps from the Arctic Sea to smoked mussels not forgetting beef carpaccio or escargots. Smoked arctic char main course has become a favorite already from the beginning. Bread pudding seems to be the dessert for cold Fall evenings with winterish flavors. You are always welcome to enjoy our classics like the most legendary salmon soup of the Hietalahti Port or bouillabaisse. Fresh seafood is always a great choice as well. Welcome to enjoy our beautiful flavors from the sea!